The biggest change in HB 507 is a reduction in the severity of punishments for possession of small amounts of pot. 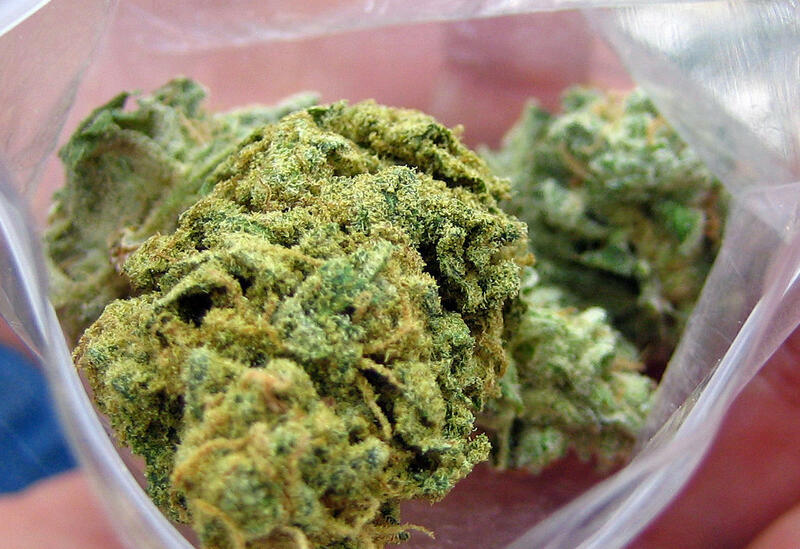 Current laws say possession of two ounces of weed or less qualifies as a Class B misdemeanor in Texas, and the offender can be jailed up to 180 days and fined up to $2,000. The bill, authored by Rep. Joe Moody (D-El Paso), proposes that, in cases where an individual has less than an ounce of the substance on them, the punishment would be a citation and a $100 fine, eliminating jail time. Jax Finkel, the deputy director of Texas NORML, thinks the bill is a step in the right direction. "Is it the perfect bill? Some might say yes, some might say no, but I think it's a huge step for Texas," she says. HB 507 was referred to the Criminal Jurisprudence Committee on Monday. Moody calls the bill "good government," noting that it would save law enforcement from the "distractions of what are largely youthful, nonviolent offenders." "It's an important part of the national discussion that's happening right now regarding marijuana, and Texas should be a leader on this," Moody tells KUT. Texas has about 70,000 marijuana arrests and prosecutions per year, he says. Two bills have also been filed regarding the use and possession of medical marijuana, HB 837 and HB 892. One of the two – HB 892 – deals only with "low-THC cannabis" that can be used to treat conditions such as epilepsy. Ann Lee, founder and executive director of Republicans Against Marijuana Prohibition, said the state should not withhold medical marijuana from Texans who need it. "We should be for freedom. We should be for people to use the medicine that they and their doctors feel is best for them,” Lee says. HB 892 was authored by a Republican Representative, Stephanie Klick of Fort Worth. As for HB 837, Finkel calls it a "comprehensive" bill that would protect individuals from prosecution if they possessed marijuana that had been prescribed by a doctor. It also includes protections for doctors to prescribe it. Roger Wade, the Public Information Officer from the Travis County Sheriffs Office, says the office hasn't made an official statement regarding proposed marijuana legislation. But he says they'll "do whatever the legislature comes up with; we're here to enforce the law." A 2014 Texas Tribune poll found that 32 percent of Texans surveyed support a policy that legalizes small amounts of marijuana for anyone for any purpose. Twenty-three percent of Texans surveyed say it should remain illegal for all purposes. 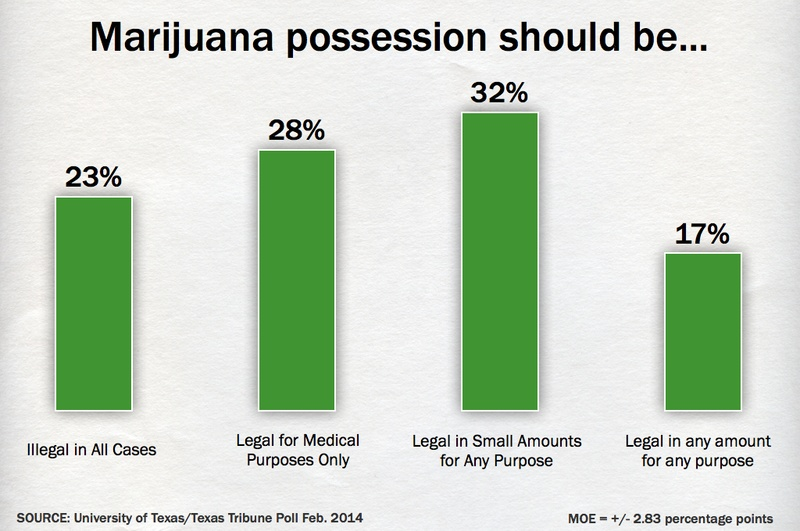 A 2014 Texas Tribune/University of Texas poll on Texans' marijuana opinions.